Today electric lights have become the important and highly used appliance in our daily lives. We need it for lighting our houses, building and streets etc. Today we have handheld portable lights that can provide a backup time of more 12 hours. The technology that we use today may be different from the past, but what we have today starts back from the invention of the Incandescent light bulb. The efforts to make a working light bulb went back to 1800. When an Italian scientist named “Alessandro Volta” during his experiments on the development of electric battery observed that, when a copper wire between the terminals of the battery is connected, it starts to glow due to the passing of electricity. The first approach in the development of light bulb was made by Humphry Davy in 1802. When he connected the terminals of the battery to a carbon electrode (used as a filament), it started to glow. This glow didn’t last longer because filament burnt very quickly. His invention is known as “Electric arc lamp”. Researches and developments on the light bulb were continued by many inventors. Some historians say that the light bulb was invented by 20 inventors before Thomas Edison, but no one was able to make an affordable and durable (long-lasting) design of the light bulb that can be brought into the market. The Main problem in the developments of the light bulb was the filament (a conductor that emit light inside a light bulb), it didn’t last too long and melted in a short duration of time. Thomas Edison was very serious in the development of light bulb. He started developing and testing new filaments that could last longer. He tested many materials including carbon, platinum, and other metals. He had developed a carbonized filament that lasted for 14.5 hours. Which proved him, he is going to the right way. He continued developing the filament that can last much longer. He had tried more than 3,000 designs of the light bulb and 6,000 different materials for the filaments. Finally, he found that carbonized bamboo filament can last for more than 1,200 hours continuously. So, Edison used the carbonized bamboo filament in his light bulbs. 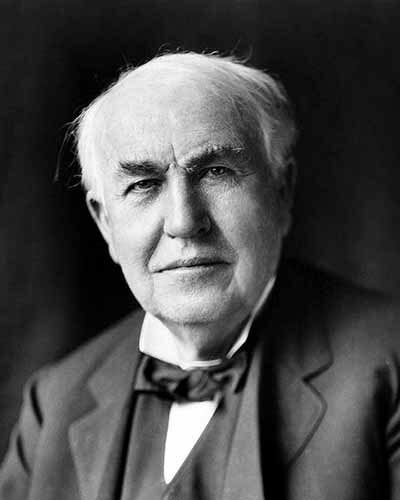 Edison became successful not because he had developed a durable filament, but he developed the whole system of electric lighting including the sockets and buttons for the light bulb. Also, he made world’s first power generating station in 1882. 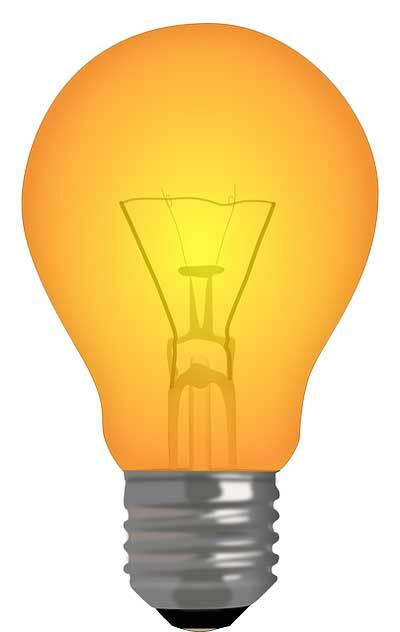 Other inventors further improved the light bulbs and developed more durable filaments. Later, Edison’s filaments were replaced by these new filaments. Modern incandescent light bulbs use tungsten filaments, due to their high melting point. Abdul Wahab, "Light Bulb," in Science4Fun, April 13, 2019, http://science4fun.info/invention-of-the-light-bulb/.